New dress already available, the price 25L$. Next valentine day I'll send a gift to all members of the group. Which is the gift? This teddy bear, scripted to change the name of the heart ;). 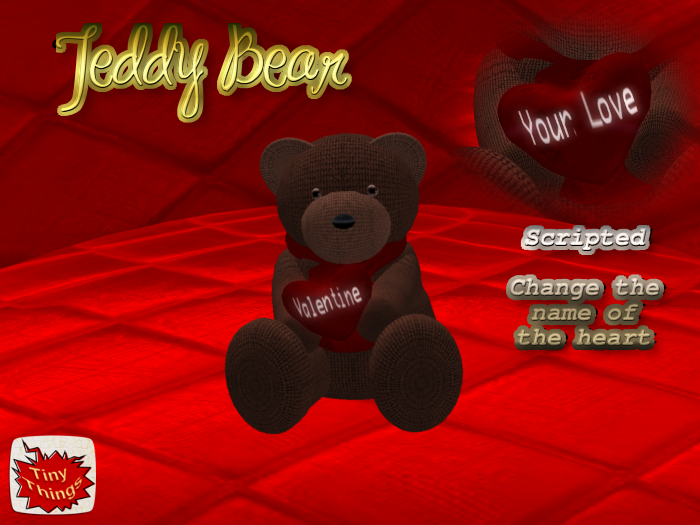 The teddy bear will be transfer but no copy, so you can give only to your real valentine. New pants available at the store, open belt, sculpted pockets and even a mobile :P. The price is 10 L$.